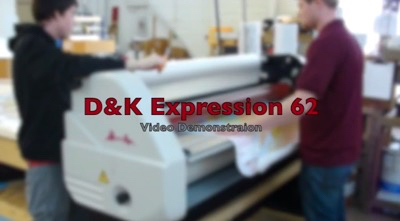 Looking for a commercial binding machine? As a professional print shop owner, you need a machine that is going to provide you heavy duty performance and quality finishing. The Rhin-O-Tuff line of commercial binding machines will give you both. 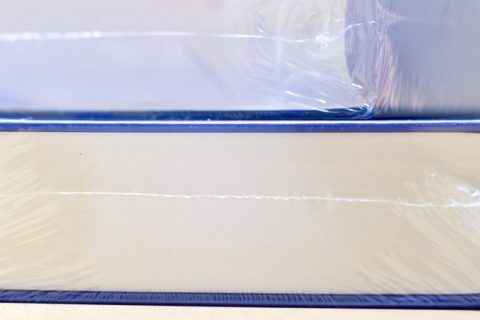 They operate with an interchangable binding die system that allows you to offer a variety of binds including wire binding, comb binding and plastic coil binding. If your current prouction is small, but you really can’t afford a consumer model, you can start off with the Rhin-O-Tuff Onyx OD4000 that comes with 1 standard die. You can also purchase additional dies for the machine for coil binding, wire binding, comb binding, vela bind or 3 hole punch binding. The nice thing about Rhin-O-Tuff is the ability to take your dies to the bigger models if your volume increases. 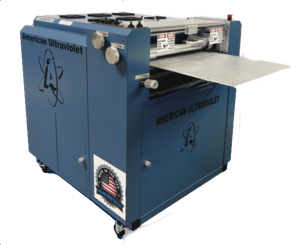 A Rhin-O-Tuff punch binding machine is differentiated by the power of the motors and the thickness of the paper being punched. So, as an example, you can punch up to 17 sheets of paper on the OD4000. 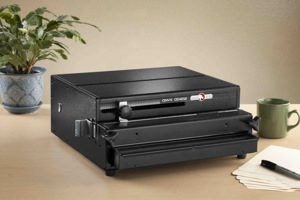 The HD7500 which is for massive amounts of document preparation, can punch up to 40 sheets of paper. With Rhin-O-Tuff, you have the potential to fully automate your binding machine process to create a manufacturing process. So, if your customer calls and asks for 100 books for an upcoming user conference, it is no problem with Rhin-O-Tuff. Like all machines in your operation, profitability is dictated by how often the machine is being used and the revenue it generates for you. With the Rhin-O-Tuff OD4000 Binding Machine, your return on investment is shorter. For the bigger machines, you want to do a lot of volume. In no time, the machine will pay for itself. Questions on Rhin-O-Tuff? Give us a call at 877-626-6848 or Contact Us.